Armagh has had a membership with RSPA since 1979. RSPA stands for Retail Solutions Providers Association, and was originally called the Independent Cash Register Dealers Association (ICRDA). It is the only association dedicated to the retail and restaurant POS technology industry. RSPA members are resellers, distributors, hardware manufacturers, software developers, consultants and service providers who bring retail and restaurant technology solutions to the marketplace. Point-of-Sale dealerships with memberships in the RSPA association have a series of criteria required to become certified members of the organization. RSPA has been in existence for over 50 years. It began as the ICRDA (Independent Cash Register Dealers Association) and later merged with the SDA (Systems Dealer Association), creating a new association known as RSPA. The organization had always been a trade association dedicated to the point of sale industry with membership exclusively made up of POS dealers. Today, the RSPA has transitioned to an industry association including all share holders of retail technology, POS, and beyond. 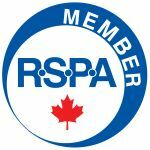 Why buy from a Certified RSPA Member? RSPA Members have dedicated themselves to becoming experts in their field, and benefit from regular industry education programs, updates and cutting edge industry information, and annual meetings with their peers to stay abreast of the latest in retail and restaurant POS technology. Organizations like the National Restaurant Association and the National Grocers Association recognize the value and security that RSPA certified members provide their members, and so should you. 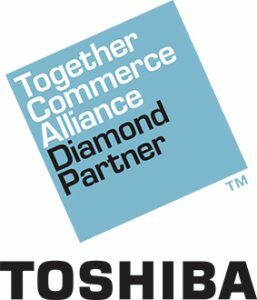 Armagh POS Solutions is a Diamond Toshiba Commerce Alliance Partner and has been a Toshiba point-of-sale hardware partner since 1979. The elite Together Commerce Alliance network of worldwide business partners offers a powerful combination of local and regional expertise leveraged with Toshiba’s innovative and market-leading retail solutions. Together we provide unmatched value and choice with your POS (Point-of-Sale) and in-store technology requirements. Toshiba is the world’s #1 ranked POS technology provider for both total number of POS terminals manufactured, installations world-wide, total installations, reliability, and quality. Armagh POS Solutions takes its membership in the Toshiba Alliance very seriously. 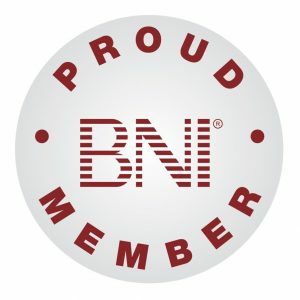 BNI was founded in 1985 and is now considered the leader in business networking. With more than 230,000 members in over 8,302 chapters worldwide, BNI has become an essential network for entrepreneurs in diverse business sectors. In 2017 alone, BNI member referrals have generated $13.6 billion USD in revenue for member businesses.